Mitali Bose Perkins was born in Kolkata (Calcutta), India. Her name means "friendly" in Bangla, and she had to try and live up to it because the Bose family moved so often, living in India, Ghana, Cameroon, London, New York City, and Mexico City before settling in the San Francisco Bay Area when she was in middle school. After studying political science at Stanford and public policy at U.C. Berkeley, Mitali taught in middle school, high school and college. "When I began to write fiction, my protagonists were often—not surprisingly—strong female characters trying to bridge different cultures," she says. She currently lives in Massachusetts. 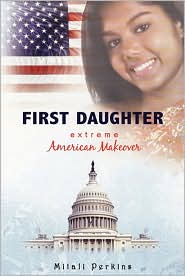 Mitali is the author of the middle grade and YA novels Monsoon Summer, The Not-So-Star-Spangled Life of Sunita Sen, First Daughter: Extreme American Makeover and First Daughter: White House Rules, as well as Rickshaw Girl. 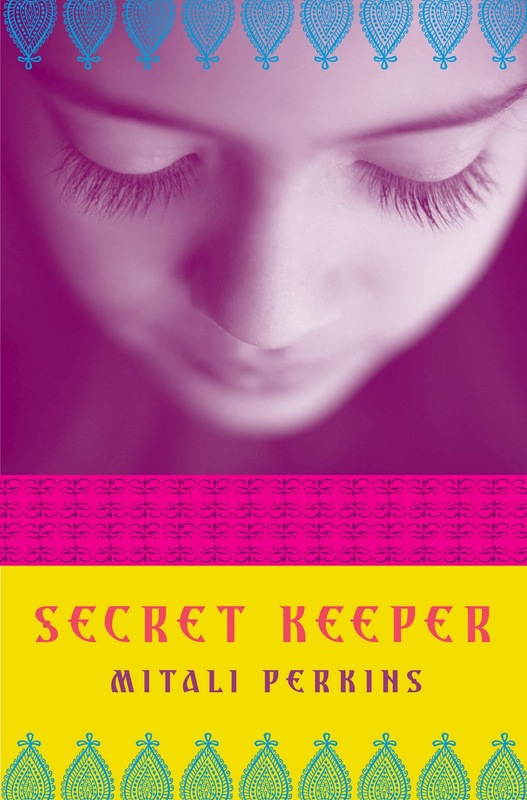 Her book, The Secret Keeper, was shortlisted for the Massachusetts Book Award and called "achingly realistic" by Kirkus Reviews and "heartbreaking and hopeful" by Booklist. 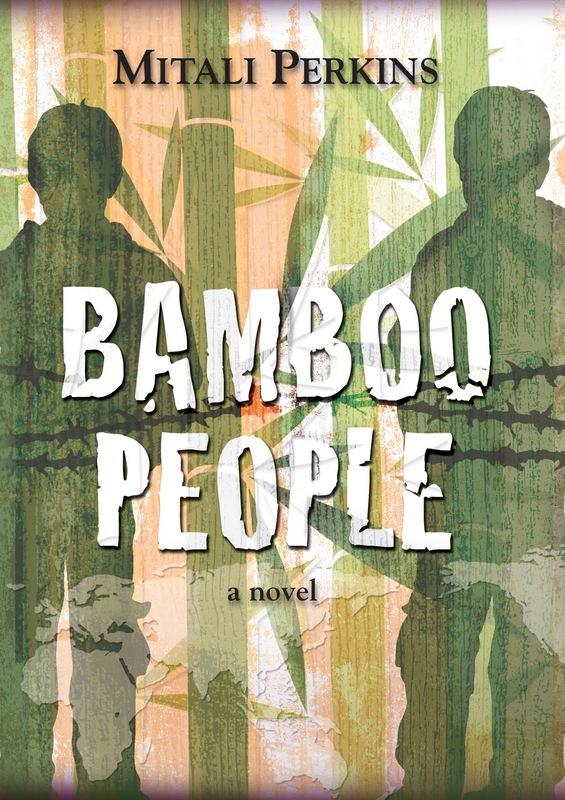 The Bamboo People, her newest novel, received a starred review from Publisher’s Weekly, which praised the book as "a graceful exploration of the redemptive power of love, family, and friendship." Mitali edits a blog "Mitali's Fire Escape" in which she introduces herelf to her readers -- "I was young, new to America, and desperate for privacy. Inside our stuffy New York apartment, spices sizzled on the stove. The radio blared news about a war in Bengal, the land of my ancestors. Clutching a library book, my journal, a pen, and some Sweet Tarts, I made my getaway — outside to the fire escape. Ahhh! Blue skies, breezes, and a secret place to explore hopes, fears, and dreams. What could be better? Do you ever feel stuck between cultures? Or maybe you're squeezed between generations. If you're living in the borderlands and need a safe place to vent your feelings, welcome to my virtual fire escape. 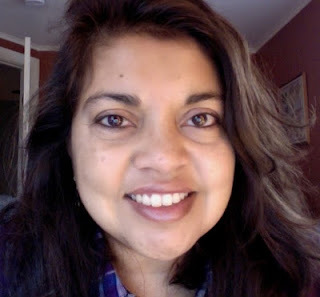 Suprose is honored to chat with the talented Mitali Perkins. 1. What made you become a YA fiction writer? I never stopped reading books for young adults, and appreciate stories told by young adult protagonists rather than by adult main characters who are looking back at that time. I also love teens and enjoy teaching and spending time with them. 2. What are some of the biggest challenges faced by a YA fiction writer? With the recent commercial success of dystopian and fantasy YA like THE HUNGER GAMES and TWILIGHT series, our work needs to stand out in an increasingly crowded market both before and after publication. I like being my own boss. I love creating stories. And I greatly enjoy speaking with students during author visits. 4. Who were some of your mentors? Which authors inspire you? It's probably not good to be on this particular list because most of my favorite authors are no longer alive. I still re-read works by "spiritual mothers" like L.M. Alcott, Frances Burnett, Maud Hart Lovelace, Joanna Spyri, and other authors of classic books for young readers. 5. What project do you have in the works currently? I'm editing an anthology of YA humor for Candlewick, due out Fall 2013 and revising and expanding a short story about a boatman's daughter in Bangladesh into a novel. 6. Besides YA readers, older adults are also voracious consumers of YA fiction. Why do you think the readership for YA fiction is so versatile? Some have said that the five critical developmental tasks of an adolescent are Identity, Intimacy, Independence, Integrity, and Intellect. This five-fold quest ensures a satisfying read for adults as well as young adults because it de facto defines a classic hero's journey. YA writers are also free to include humor and happy endings -- two components of story that writers of "serious" literary adult fiction can't often incorporate even though they delight readers of any age. 7. Do you think this trend will continue into the future? What are your hopes for YA fiction? I do think we're going to see more shared story between young adults and adults thanks to an increased communication across generations. Social media and innovative technologies mean that fiction could become more collaborative, but nothing is going to alter the human hunger for great stories. Good content will continue to find a way into hearts and minds, and good storytellers will always gather a crowd around a fire, even if it's a virtual one.